"Stephen VII" redirects here. For the Moldavian ruler, see Ștefan Tomșa. 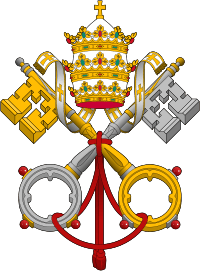 In some sources, this pope is called Stephen VIII and Pope Stephen VI is called Stephen VII. See Pope-elect Stephen for detailed explanations. Pope Stephen VII (Latin: Stephanus VII; died c. 15 March 931) was Pope from February 929 to his death in 931. A candidate of the infamous Marozia, his pontificate occurred during the period known as the Saeculum obscurum. Stephen was a Roman by birth, the son of Theodemundus, and perhaps a member of the Gabrielli family. He was elected—probably handpicked—by Marozia from the Tusculani family, as a stop-gap measure until her own son John was ready to assume the chair of Saint Peter. Prior to his election, Stephen had been the cardinal-priest of St Anastasia in Rome. Very little is known about Stephen’s pontificate. 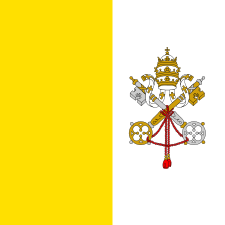 During his two years as pope, Stephen confirmed the privileges of a few religious houses in France and Italy. As a reward for helping free Stephen from the oppression of Hugh of Arles, Stephen granted Cante di Gabrielli the position of papal governor of Gubbio, and control over a number of key fortresses. Stephen was also noted for the severity with which he treated clergy who strayed in their morals. He was also, apparently, according to a hostile Greek source from the twelfth century, the first pope who went around clean shaved whilst pope. Herbermann, Charles, ed. (1913). 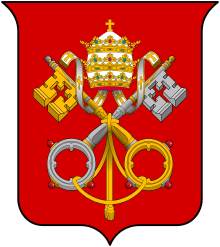 "Pope Stephen (VII) VIII". Catholic Encyclopedia. New York: Robert Appleton Company.